Gravity is a truly remarkable and awe-inspiring film-going experience, unlike any other. The heart-pounding, edge-of-your-seat thriller pulls you into the infinite realm of deep space, as you follow Dr. Ryan Stone (Sandra Bullock), a brilliant medical engineer on her first shuttle mission with veteran astronaut Matt Kowalski (George Clooney). When a seemingly routine mission turns into an unimaginable disaster, the survivors find themselves spiraling into the terrifying blackness. 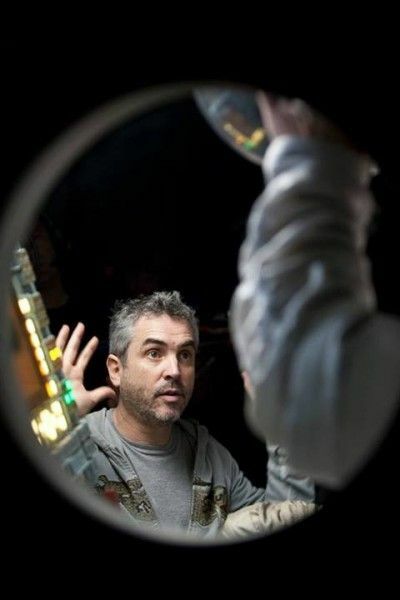 During a press conference at the film’s press day, writer/director Alfonso Cuarón talked about conveying the physics of space properly, how talking to NASA astronauts informed what he wanted to accomplish with the film, working with his son Jonas on the script, why they chose to tell the story with such an economical narrative, and the decision not to show anyone back on earth, while actress Sandra Bullock talked about what attracted her to this role, retraining her body for the film, her reaction to seeing the finished product for the first time, what this experience taught her about herself, and the companion piece that will be included on the DVD. Check out what they had to say after the jump. Question: Alfonso, in most depictions of space, there is a sense of up and down, and left and right, but you effectively do away with that. What changes did you have to make, in your way of thinking, to convey the physics of space properly? 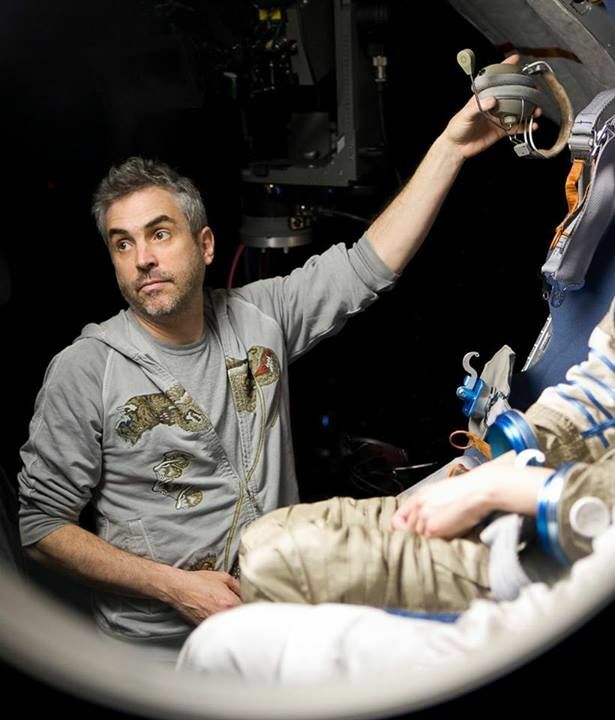 ALFONSO CUARON: That was the biggest challenge, from early on. Even before getting into the technical solutions, when we were considering the choreography, our brain thinks from the standpoint of gravity, horizon and weight. It was so weird to try to do it. It was a whole learning curve because it’s completely counter-intuitive. The way you start choreographing is with pre-vis animations. The problem is that animators learn how to draw based upon horizon and weight. It was a big learning curve with experts coming to explain the physics of Zero G and what would happen. You could tell who the new animator in the room was because it was the guy who was completely stressed out and wanted to quit. Eventually, it gets like second nature, but it was a tough one. Sandra, what was your reaction when you got offered this role, since it’s so different from what people are used to seeing you in? SANDRA BULLOCK: I was always longing to do, emotionally and physically, what my male counterparts always got to do. I just felt envious, every time I saw a movie that I was in awe of, and it was usually a male lead. And those kinds of roles weren’t available. They just weren’t being written. So in the last couple of years, whether it was by us searching for something and turning it into a female character, or developing it yourself, you weren’t seeing it. But in the last couple of years, things have shifted. And then, there’s the fact that Jonas and Alfonso wrote this specifically as a woman. It wasn’t an afterthought. I think it was the integral part of the story. I don’t want to say that’s revolutionary, but it’s revolutionary. And the fact that a studio, on blind faith, would fund something as unknown as this is revolutionary. So, to be able to be the person to do it is beyond humbling. It makes you realize, “I have to step up and be the best version of myself, so that whatever is asked of me, I can produce.” So, every day, I’m so grateful. What did you have to do for this, training wise, to prepare for this role? And what was it like to work with so much green screen? BULLOCK: Well, if there had been a green screen, it would have been nice. There was just blackness or bright white lights or metallic objects. Basically, you had to retrain your body, from the neck down, to react and move as though it’s in Zero G, without the benefit of Zero G moving your body. Because everything that your body reacts to, with a push or a pull, and on the ground, is completely different than it is in Zero G. So, to make that second nature just took training, and then weeks of repetition, and synching that with Alfonso’s camera, and the mechanics and mathematics of it all. And then, you had to separate that from your head and connect to the emotion, and tell the emotional story. So, there were various contraptions that existed on the soundstages. You just made the soundstages your friend, as quickly and as physically as you could. They were so confusing and complex, you had to figure out how to communicate in a language that you’re not understanding coming at you, and it didn’t make sense with my rhythms. I said, “That does it make sense? Can we musically do this because then rhythmically, I will know.” So, it was just a collaborative experience. CUARON: She was very involved, early on, not only with the animations, but blocking and restaging because everything was pre-programmed. She would go with her trainers and have conversations about the rigs and the stunts, and then say, “Okay, what do I have to reinforce in my body?” Also, with the pre-vis animation, she said, “With the motion, if I’m going to keep my arm holding like this and floating, how much strength do I need to have?” The work-out she did was very specific. BULLOCK: It was just core strength. From a dancer’s perspective, you had to just make sure that you weren’t hurting your body. You had to be very agile and flexible to maintain your body in a rig that’s load bearing, but the load is your weight, for long hours of time. And there’s always going to be tweaks and things like that. What was your first reaction when you first saw the finished film? BULLOCK: The first time I saw it all put together was in Venice [at the Venice Film Festival]. When you’re an actor, seeing yourself for the first time, you spend all your time just watching yourself and hating yourself and picking your performance apart. You say, “I look horrible. I should quit.” But, there was no time to pick apart one’s performance because you were inundated with the extreme beauty and emotion that Alfonso created, visually. Technology is something that’s heady, but it was turned into something so emotional, and such a visceral, physical experience, in this movie. When you see it, you go, “I don’t know how they did it with sound.” All of a sudden, you find yourself affected in ways that you were not planning on being affected, and we had that same reaction. I think George and I both went, “Wow!” You can’t really speak, after the film is over. I was lucky enough, in my work career, to finally be able to view a movie I was in as it was supposed to be viewed, as a newcomer. Alfonso, what were the challenges in finding the right balance between the sound, the visual design and the storytelling? CUARON: All of those things are the tools to convey the emotional journey. Each one of those things, on their own, are meaningless. They can be cool, but they don’t convey the emotions you want. Everything is working in function of that. The script, in many ways, was very solid, in terms of a structure. From the moment we finished the first draft, nothing changed, in terms of each one of the moments and each one of the set pieces. What changed quite a lot was the involvement of Sandra and George. Suddenly, there was this clarity about this emotional journey and how we were going to convey those emotions. In many ways, that was the big hanger in which all of these other elements started to hang from. It was very strange because, as technological as this film sounds, it was a big collaboration between artists. The visual effects supervisor is an artist, in his own right. The cinematographer is an artist, in his own right. Everybody was trying to make life easier for the other person, knowing that the essence of this was that emotional core that happened with the collaboration with the actors. So, all of those other elements fell into that. Historically, there is a fight between the sound designer and the composer. You see them in the mixing room and they’re always fighting because the composer wants the music to be heard and the sound designer wants the sound to be heard. But here, they were working together. It was a very holistic process, in many ways. Sandra, this had to be an emotionally grueling role for you. Is there something that you learned about yourself that you’ve taken with you from this experience? BULLOCK: I’m sure. You never quite know what the change is until, one day, you wake up and go, “Wow, I’m reacting to things differently and I feel differently.” I’ve always said that the experience of meeting an artist that you are in awe of and that you hope to create with one day is usually disappointing because you put them up on a pedestal, and then you’re like, “Wow, that’s not a nice person.” But the exact opposite was true, in the meeting with Alfonso. I got to meet a human being whose evolution as a human being was just so bright. I knew that we were on similar paths in life, with how we looked at things and events and the unknown. We didn’t really know why we were there. We were just sort of went, “Okay, how do you deal with that?” And then, we went into the technological side and I went, “Wow, I don’t know how I’m going to pull this off.” And then I met Jonas [Cuaron], and I saw that his son and co-writer is exactly the same. There was a sense of calm and understanding, and it always went back to the emotion of the story. 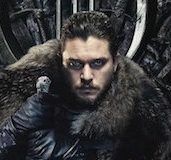 And then, I met the producer and thought, “Oh, here comes the person that I’m going to hate.” And there were times when he would come to the trailer, at the end of the day, and I knew why he was coming and I did not like him at all. But all of our priorities were the same, in that we were stepping into a completely unknown world. They had been in it far longer than I was. I had to play catch up. I can’t selfishly take journeys anymore because I have to take a little boy along with me. So, I said, “Make it an amazing experience for him and make it so I’m not somewhere, not paying attention because I’m so worried about where he is, if he’s having fun, and if this is a good life experience.” And David [Heyman] turned a soundstage in rainy London into a wonderland for a one-and-a-half year old. Everything was bumper guarded. People would go, “What is that?,” and I would say, “That is to protect a child’s head.” We can go through the technical aspects of working and how you change, but there was just a level of kindness and collaboration. The general sense of the unknown bonded everyone together, on such a human level. If you have an experience that spoils you, it ruins it for a lot of other people, and I can honestly say that happened. What was it like to be the only actress on screen and perform for a great deal of the movie by yourself? BULLOCK: I never thought about being the only person on screen. You had the story, with the elements that Jonas and Alfonso wrote. The technology was a constant character around you. I always went back to, “What was in their heads that I need to honor and help execute?” So, I never once thought, “I’m the only person.” There was George, who’s a vital part of this film. He represents life and this outlook on living that, if you don’t have that, this film could not exist. So, I never thought of it until I started doing press and everybody was freaking me out and going, “How do you feel that this rests on you?” I was like, “How is that now my problem? 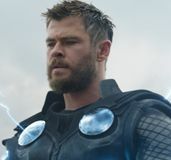 I didn’t write this or produce it or come up with the cockamamie idea to make a space movie.” I still don’t think about it because I feel like I’m third or fourth on the list of characters, with the story, the emotional visuals, the sound and the experience of what they’ve created. How did talking to people at NASA help you with your performance? BULLOCK: We had a lot of technicians around us that helped me, literally, with knowing where buttons were and what I would do. I was more concerned about body work and how it worked in Zero G, and there’s no one to ask about that. You have people explaining, “Well, this is what happens,” and I was like, “It’s just not registering.” And my brother-in-law was actually with a friend of his at some wine packaging place, and the guy said, “You know, my sister, she’s an astronaut.” And my brother-in-law went, “Well, my sister-in-law is getting ready to be an astronaut.” So, he got my number to [Dr. Catherine Coleman], who was at the ISS (International Space Station), at the time. She called and I was able to literally ask someone who’s experiencing the things that I was trying to physically learn about how the body works, and what you do, and what I need to re-teach my body to do, physically, that cannot happen on earth. It’s just the oddest thing to reprogram your reactions. It was just a really coincidental, fortuitous thing that happened, over wine, that got me the final piece of the information that I needed. What did she tell you about her experiences, and what fascinated you about that job, which is maybe even cooler than yours? BULLOCK: We had one phone conversation. Apparently, they’re not allowed to just accept calls, whenever you feel like calling the ISS. And our work schedule was so crazy that our connection was always ships passing in the night. My character wasn’t an astronaut. My character wasn’t someone who wanted and aspired to be an astronaut. All those questions were for George. That’s the research that he had to do. My character was just someone who happened to be in a position where it was easier to just train her to execute this one mission, and then go home. But what I did learn from them, which was so beautiful, is their emotional point of view on life, why they go up there, why they specialize in something on earth, and why they want to go into space to see how it operates, so that we all benefit from it when they get back. Alfonso, what was your experience with NASA astronauts like, and how did that inform what you were trying to accomplish? CUARON: It’s very humbling. You can write a whole fiction, and you’re talking to people who have gone through that, in real life. There were certain things that informed the script. In an early draft, we had scene that, after talking with one astronaut, we realized were absolutely moronic. It was stuff that would never happen. And even though this film is not a documentary and it’s fiction, we wanted the frame of that fiction to be as plausible and accurate as possible. With the physics of space, we tried to be super-accurate. But with other stuff, there are so many technical aspects, in terms of orbits and trajectories. There are a lot of physics that are involved in traveling in space, and we had to take our leaps, in terms of fiction. The truth of it is that when you’re talking to those people, you don’t care about your movie anymore. You just want to hear about what they have gone through. You want all of the details. It’s amazing. In real life, they have hundreds of alternative procedures for each thing that happens. In 40 years of space exploration, there’s been only a handful of incidents. It’s very limited. There are missions, all the time. You’re going to the most hostile place that any human has been, ever. It’s because these people are so well-trained. And they are not trained just to do what they are supposed to do. They have to have alternative thinking for many other procedures. These people are really remarkable, and that’s something I admire in the space program. It’s a bunch of people who are so qualified that you just feel stupid. You feel like a movie director. How was it for you to work with your son? 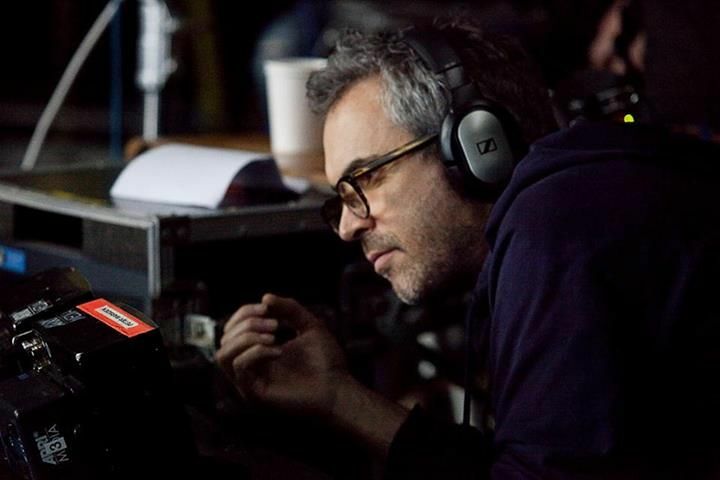 CUARON: I wanted him to help me to write something where you’re at the edge of your seat, and that’s a really tense and suspense ride, but at the same time is a deep, intense, emotional ride. And interwoven between the two of those are a lot of thematic elements that are told in visual metaphors. I asked Jonas to please help me do something like that. The rest of the experience was just two writers working together. BULLOCK: There’s a complementary film piece that Jonas did. I speak to an Inuit on earth, and he went there and shot this absolutely beautiful, complementary piece of loneliness and emptiness on earth, where this man is calling from. It’s so beautiful. I get goose bumps thinking about it, and you’ll hopefully be able to get to see it. The talent is just overwhelming. It’s a beautiful piece that complements what happens in the film, that you’ll get as a little gift, later on. Will it be on the DVD? BULLOCK: I don’t know. Warner Bros. doesn’t consult me. CUARON: Yeah, it will be on the DVD. Sandra, you had to go to some pretty dark places in this, as a mom. Was that difficult for you to film, being a mother yourself? BULLOCK: Oh, yeah. No one wants to think about that. I just kept thinking, “What a strange job.” If I personally can’t feel it, I can’t do it. In the beginning, I kept having to say, “What would I do?” And I realized I might be far worse off than she is. So, you just have to go there and know that, at the end of the day, you can unplug and go home and do something that a lot of people who were parents can’t. How did you reach an emotional impact with just your voice? BULLOCK: Alfonso and I talked a lot about the voice. It’s very specific, with the voice and the breath. We talked about where in the register her voice is, as someone who is that cut off. If I went a little higher-pitched in my panic, it always rang false, unless it was absolutely perfect for that moment. We always went back and said, “Next time, let’s do it in that other register, and try to stay there.” And then, the breath always followed, and the level of hyperventilation, at that moment. And then, in ADR, we went back through with a fine tooth comb, for any false tones in the voice, and any breaths that were not connected. There was a lot of time spent on that. The meticulousness with which you were allowed to work on this movie is unheard of. We were always able to go back and say, “I don’t know why, but it just didn’t feel right. Can we go back and try other levels with the voice?” We wanted to give her a voice based on her experience in where she was in life. So, it was unapologetically cut off and monotone, much like my own, but very distinctively her. CUARON: But the detailing from which Sandra took the whole thing was driving the boat. She mapped out the breaths. We were very aware of it while we were shooting. And then, when we put it together, we saw exactly where we needed to modulate. We had disagreements sometimes. I would say, “Right here, I think there needs to be more panic,” and she would say, “I’m not a damsel in distress.” I said, “But, it’s not about being a damsel in distress. If I were up there in that situation, I would be screaming.” And she said, “Yes, but you’re a wimp.” So, that was the end of that conversation. Time has a real presence in this film. Alfonso, why tell the story in such an economical way with a shorter narrative? Why not give more space and time to it? CUARON: Jonas kept on saying that it was about the audience using their own emotional experience to partake in the journey with the characters. The word he used was visceral, not primal. He was a pain, I have to say. He looks like a very nice boy, but every time that I tried to expand on stuff, he pretty much accused me of being old, in a very nice way. Was it a conscious decision to never show the people who were actually on the ground? CUARON: That would break the existential experience that you get with the characters. You can see this film as just a big metaphor. This is a film about a woman. Forget about space. It’s a film about a woman that is drifting into the void. It’s about a woman who is a victim of her own inertia and who lives in her own bottle, and she confronts all of this adversity that brings her further and further away from human connection, and a sense of life and living. All of these other elements are voices that are part of her own psyche. They represent that surge of life. Even as she’s despairing, there’s that part of you. Your brain can be telling you, “I’m giving up,” but there’s something that makes species keep on going. Life keeps on going. In many ways, you can see this as a metaphor for an internal journey for a woman. Instead of taking this story and placing it in a city, in an apartment with all of the other adversities, it’s in space. Do you view Gravity and Children of Men as linked? 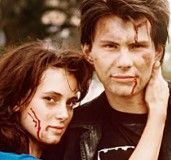 Do you think you could have done this film without having done the other? CUARON: It’s hard to tell. Life just happened like that. I wrote both movies. I really don’t know. One film happened first. That’s just life. Your actions and your experiences start to shape your moments and your decisions. Obviously, I wouldn’t have been able to do this before Children of Men because the process for that film took me into a journey of personal adversities. I was in the midst of one of those periods in your life where everything is an adversity. And when I started working with Jonas and we decided to do this film about space, we talked about the theme of adversity and the possibility of rebirth. I was clinging to the film with the hope that there was going to be an end of those adversities and a rebirth, meaning new knowledge. In that sense, it would have been impossible just because of the experience I had on both of the films. 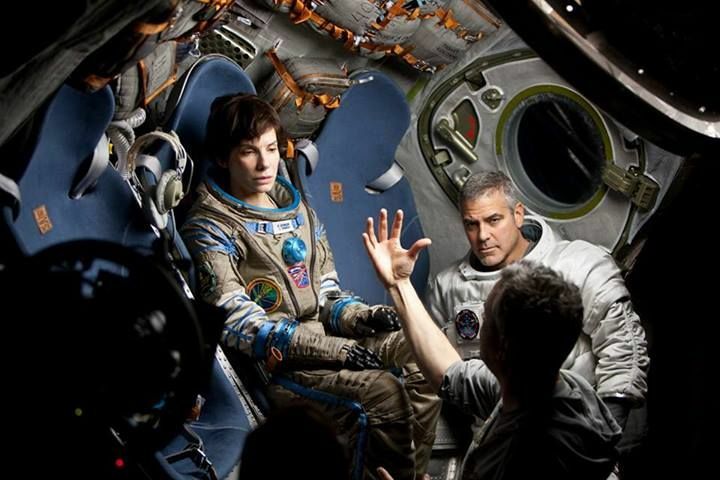 Gravity opens in theaters on October 4th.